Dr. Christopher Mushquash will soon be the first Lakehead University professor inducted into the Royal Society of Canada’s College of New Scholars, Artists and Scientists. The Associate Professor of Psychology at Lakehead University’s Thunder Bay campus will travel to Winnipeg for the November 24 induction ceremony. The College of New Scholars, Artists and Scientists is a new initiative within the Royal Society of Canada that recognizes scholars who are early in their career. Dr. Mushquash is one of 70 incoming members who represent the emerging generation of scholarly, scientific and artistic leadership in Canada. “It’s a great honour to be included among those new scholars, artists and scientists who are doing such important work,” said Dr. Mushquash, who began his career at Lakehead University in 2011. Dr. Mushquash holds a Canada Research Chair in Indigenous Mental Health and Addiction and an appointment in the Human Sciences Division at the Northern Ontario School of Medicine. He is a clinical psychologist with Dilico Anishinabek Family Care in Thunder Bay and a member of Pays Plat First Nation, located approximately 175 km northeast of Thunder Bay. His area of interest could have been very different. Dr. Mushquash started studying biochemistry in university, and then switched to psychology. “I began thinking about the skills I would need to be helpful to my community. I had a longstanding interest in mental health and addiction, and decided to develop my knowledge as a means of helping Indigenous peoples experiencing difficulties in these areas,” he said. Dr. Mushquash said it’s important to understand the culture and context of the people you are helping. 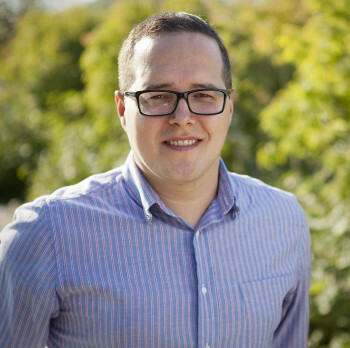 “My work is focused on determining evidence-based approaches that align with First Nations values, understanding culture-based approaches to healing and wellness, and ensuring that these approaches are appropriate for the context – depending on the community and factors such as remoteness, and access to other resources, or determinants of health,” he said. Dr. Mushquash thanked Lakehead University, the Northern Ontario School of Medicine, staff and leadership at Dilico Anishinabek Family Care, Dr. Andrew Dean and Dr. Batia Stolar for their support and the nomination, as well as the Canada Research Chairs program, his mentors Dr. Sherry Stewart and Dr. Patrick McGrath, collaborators, colleagues, and especially the Indigenous communities and organizations he works with each day. “I’d also like to thank my wife, my son, my family, and Pays Plat First Nation for all of their support,” he said. Dr. Mushquash was nominated because he is a prolific researcher who has published 41 articles in peer-reviewed journals, three book chapters, and 27 reports, letters, and non-peer reviewed publications. He has given more than 150 presentations to local, regional, national, and international audiences on a range of topics in Indigenous mental health and addiction. This output far exceeds the norm in his field and is of the highest caliber, his nomination letter said. This induction builds on the achievements of Dr. Roger Mitchell, Professor Emeritus of Geology at Lakehead University, who was elected Fellow of the Royal Society of Canada in 1994, one of the highest honours bestowed upon a scientist in Canada.